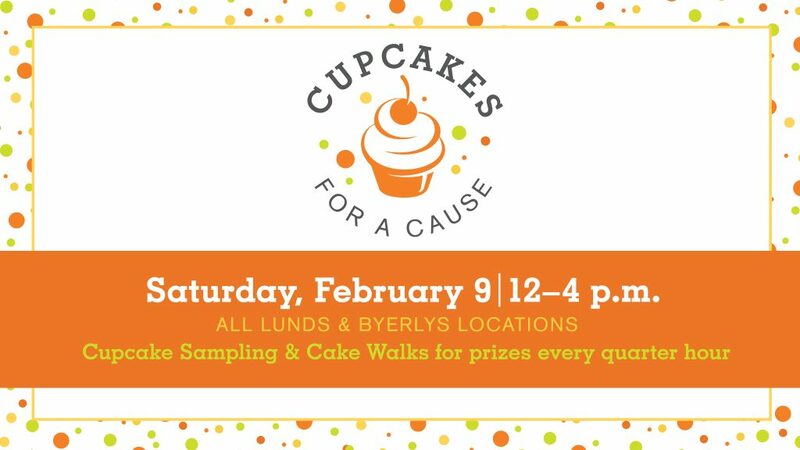 Join us for cupcake sampling and cake walks for prizes every quarter hour! Lunds & Byerlys is partnering with OPEN ARMS OF MINNESOTA, a nonprofit that cooks and delivers free, nutritious meals to people living with life-threatening illnesses in the Twin Cities. Don’t forget to ask for a tear sheet at the register to make an additional donation to support Open Arms’ clients!